A close friend of mine started feeling nauseous followed by headaches just over a year ago, when a new tenant moved into her building (separate appartments). It carried on even after he moved out. He was a satterlight engineer and they did not get along. In fact he made friends with the people in the street who hate my friend, probably because she owns the nicest house and the best view. They've actually been harassing her for years. Anyway after this guy moved out the new guy noticed that the previous tenant had messed with the electronics so badly he thought the guy was either insane or a genius because he couldn't figure it out. She gets affected mostly the same time (between 17:00 and 18:30 but it happens at other random times too which is why she thinks it's being controlled manually) and has found sleeping in her house almost impossible. If anyone has had a similar experience or can offer any insight please respond. Hi everyone! I am an EHS student living in Vancouver, BC. I will be leaving my current apartment as of April 1 and my bedroom been painted so that it is safe for anyone with EHS. I would love it if someone who has EHS would take over my lease so that our efforts to make it safe don't go to waste. It is a 2 bedroom, basement suite. One bedroom is painted with blocking paint and the other isn't but I have lived there for 3 years without issues and my landlord is super supportive of helping me make sure my place is safe for me. Please pass this on to anyone who is interested! Message me for more details! Can one actually believe anything the MTHR is saying, when they are biased towards and funded by the Telecommunication Industry ! ?? 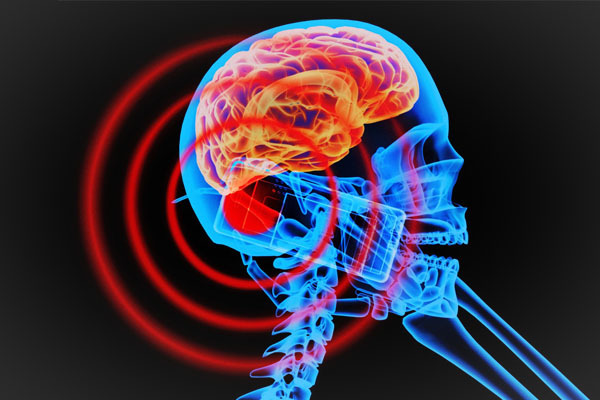 New scientific research on the health effects of cellular radiation found that exposure to radiation from mobile phones and base stations will not increase your risk of developing cancer. A report by the Mobile Telecommunications and Health Research (MTHR) Programme cited two studies which investigated whether exposure to mobile base station emissions and mobile phone use could affect the risk of developing cancer. The two studies cited in the report focussed on maternal exposure to base station emissions during pregnancy, and the possible link between leukaemia and mobile phone use. Neither of the studies identified any association between exposure and an increased risk of developing cancer. “These findings appear to be consistent with the results from other recent studies examining similar endpoints,” the report stated. The latest report compliments a 2007 report by the MTHR Programme, which also did not find a link between mobile radiation and cancer. The 2007 report found that there is no association between the use of mobile phones (for less than 10 years) and the risk of cancers of the brain and nervous system. Research results for longer term use was still lacking. The 2007 report further found that brain function is not affected by radio frequency exposure. These results are in stark contrast to claims by some South African groups which warn about the harmful effects of radiation from mobile phones and cellular towers. Let us start DISCUSSIONS here ! Hi, I live on the Gold Coast, and I must be the only one in Queensland who is an EHS Suffer! Discussion Topics to be added or changed. in discussion General / Forum Requests » Discussion Topics to be added or changed. Please REQUEST new Discussion Topics to be added or changed here, below !! Not found any Topic to post your Input, please REQUEST it HERE !! in discussion Interesting OFF TOPIC Discussions / Unspecified Topics » Not found any Topic to post your Input, please REQUEST IT HERE ! The German answer to the ''Energy Saver'' problem !! ''Energy Savers'' have very little else to offer, just ENERGY SAVINGS, but LED Lamps still beat them in THIS DISCIPLINE !!! - As long as they are affecting the ENVIRONMENT and OUT HEALTH I would rate this whole marketing strategy as OUTRIGHT FRAUD on humanity !!! For more information, please read up and make up your own (educated) mind thereafter !! The so called ''Energy Savers'' are more DANGEROUS than most people (inclusive the governments) would like to believe !! !